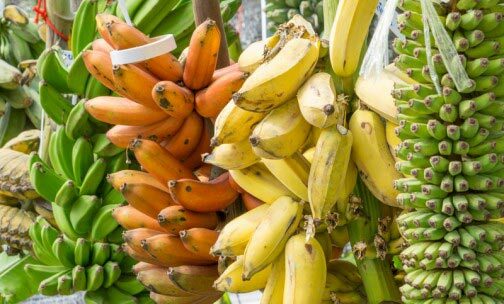 In an article entitled “Why we should all get off the banana shortage bandwagon” published in the Adjacent Open Access journal of 9 February, IITA researchers Rony Swennen and James Legg said the recent reports of an imminent global banana shortage are overblown and self-serving. Different varieties of banana abound. 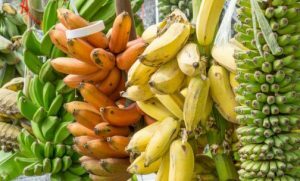 According to the report, Panama disease may be a threat to some species of banana, but the spread of the disease in itself cannot make all banana species extinct. “…About 145 million metric tons of bananas are produced annually in over 130 countries and on more than 11 million hectares. Banana is the sixth most important starchy crop in the world after maize, rice, wheat, potato, and cassava. Only 15% are exported, consisting of one single type of varieties belonging to the Cavendish group. These Cavendish varieties, all genetically similar, are cultivated almost in every country by smallholders but the large export plantations are based in a few countries in Asia, Latin America, and Africa. Almost 70% of the entire export market is in the hands of only 10 countries and about five companies dominate the banana export trade. It is the Cavendish and this linked business model that is threatened by Panama disease. This is caused by a soil-borne Fusarium fungus of which there is a severe strain called race 4 that kills the Cavendish plants and therefore destroys entire plantations. spread rapidly through two large commercial banana plantations where it occurred.